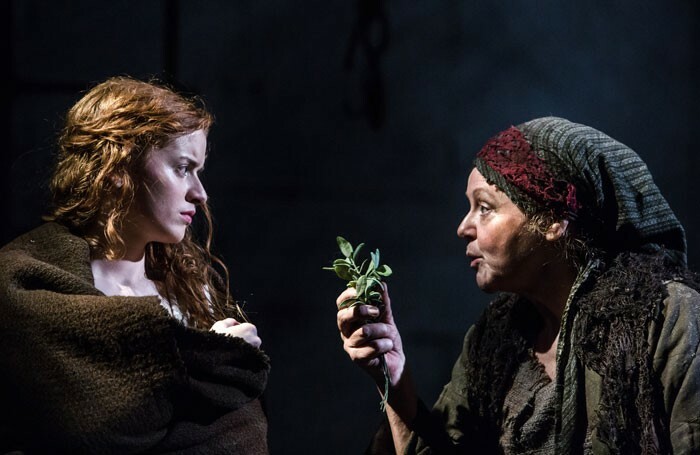 Rebecca Lenkiewicz’s latest play, receiving its world premiere at Watford’s Palace Theatre, takes its inspiration from events in a Hertfordshire village in the early 1700s when inhabitants feared the curse of witchcraft had returned. It has been years since anyone has been put on trial for this grave sin against God, but the hanging of a ‘witch’ in Walkern results in Tim Delap’s fanatical young chaplain Samuel Crane pursuing eccentric folk healer Jane Wenham as the next likely candidate for execution. Initially, the piece suffers from too much exposition, along with subplots and dialogue scenes which state their point time and time again. However, Act II is far more compelling, with director Ria Parry finally adding some much needed pace to the proceedings, cleverly highlighting that it is not Jane, but all the other characters we have been introduced to, that are damaged and struggling with their own secrets, sins and prejudices. There is not a weak link in the cast of eight, even if some of the accents are a little distracting. Hannah Hutch, as Ann Thorn (daughter of the woman who has been executed as the play opens), is believable in the way she stirs up trouble against Jane, while Delap is convincingly perverse as the sadistic Crane. There are also powerful performances from Amanda Bellamy in the title role, David Acton, Judith Coke, Andrew Macklin, Cat Simmons and, most impressive of all, Rachel Sanders. Designer James Button’s minimalist set manages to serve the production well and add a welcome intensity to the drama taking place.